VSMPO-Tirus, US is one of the largest suppliers of titanium mill products to the aerospace, medical and consumer products industries. We are the North American sales and distribution operations of VSMPO-AVISMA, the world’s largest titanium manufacturer, holding more than 300 international quality certifications. Our Eastern and Western US Service Centers reliably meet your specifications for products, sizes, quantities and delivery timeframe. Eastern and Western US Service Centers, carry Ti 6-4, Ti 6-4ELI, Ti 6-2-4-2 and CP1, 2, 3, 4 in billet, bar, plate and sheet, in a variety of stock sizes with 48-hour turnaround. Through our parent company and a subsidiary, we can oversee manufacture of forgings and machined products, from one piece to many, to meet your design and specification criteria. In addition to our inventory of standard sizes, we provide processing capabilities include sawing, shearing, machining and heat treating to your specifications. Commercial Aerospace is a primary market for titanium use because of the metal's light weight and high-strength characteristics. Titanium is primarily used in structural, landing gear, and engine components. VSMPO is a proud supplier to all commercial aerospace original equiment manufacturers. 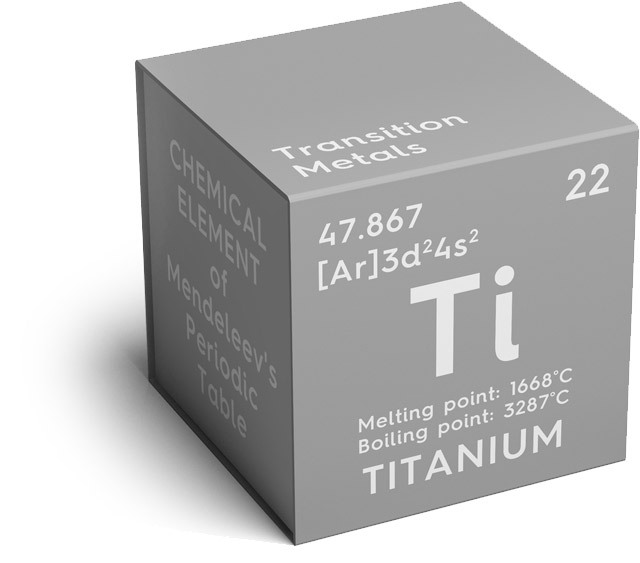 Titanium's use in medical implants continues to grow, and VSMPO supplies to key Orthopedic and dental implant manufacturers. Through our Uniti Titanium joint venture, VSMPO provides commercially pure titanium for use in chemical processing, power generation, desalination, and other large-scale industrial projects. VSMPO supplies domestically melted titanium manufactured through our NF&M International subsidiary for US military systems. VSMPO also supplies titanium for sporting equipment, jewelry, automotive, and architectural uses.